The security measures will be enhanced at the state border and the demarcation line with the occupied territories on the State Flag Day and Independence Day as the press service of the State Border Guard Service of Ukraine reported. “Besides the checkpoints at the borders, the security measures will be held at the checkpoints of entry-exit at the demarcation line in the zone of the Joint Forces operation in Donetsk and Luhansk regions at the administrative border with the temporarily occupied territory of the Autonomous Republic of Crimea,” the message said. It is noted that the guards will constantly monitor the situation, taking into account the risk of the terrorist attacks. For this, all directions of the border will be enhanced by the additional units. Moreover, the document of the people and transport near the border will be checked more carefully. Particularly, the dog handlers with the service dogs will be attracted to expose the illegal arms and explosives. The border guards will cooperate with the police, National Guard, rescuers and SBU representatives. As we reported soldiers from 18 countries will participate in the parade for the Independence Day. 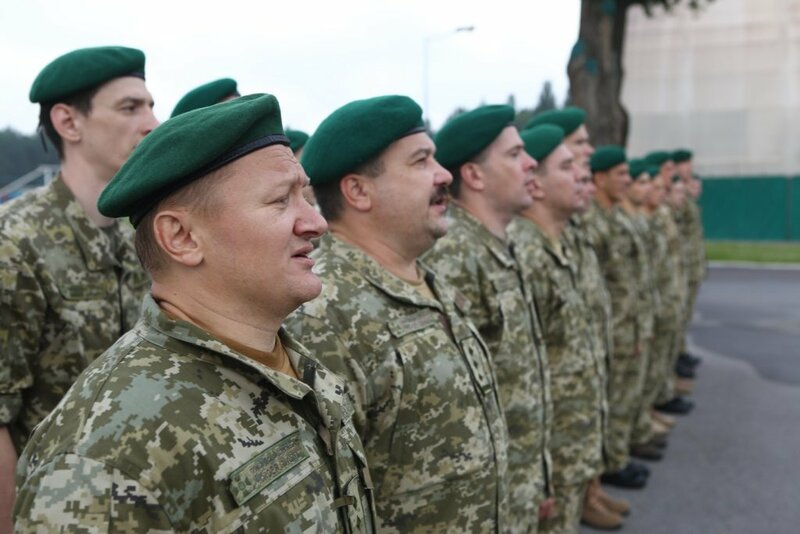 The crews who have participated and are participating in the hostilities in the east of Ukraine will be given and awarded honorary titles and combat flags.